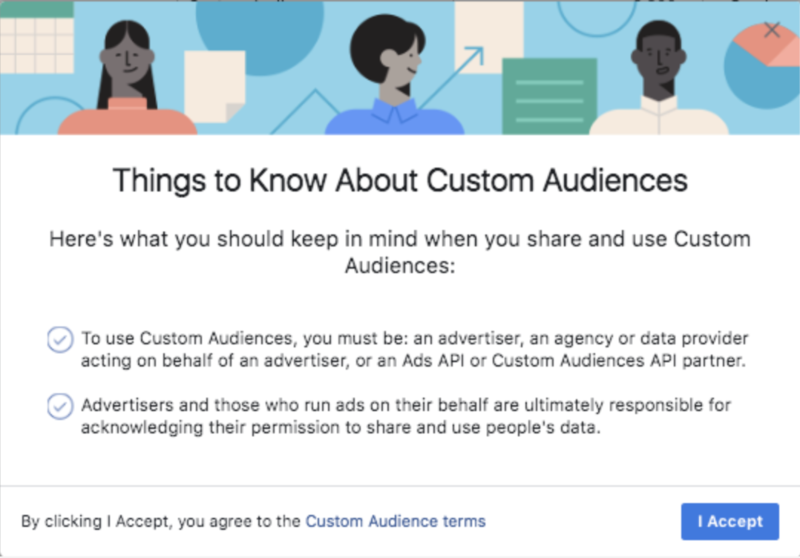 As Facebook has recently updated their Custom Audiences Terms, customers using our email based integrations will need to accept the new Custom Audiences Terms every 90 days in order for the integration to function uninterrupted. For privacy and data protection reasons we cannot accept these Custom Audiences Terms on a customer's behalf. and replace *accountID* with the ID of the Facebook Ad Account you have connected with us. You can find this in your Facebook Business Manager's Business Settings under the Ad Accounts tab on the left hand side of the screen. Once you navigate to the Ad Accounts tab just click on the Ad Account that you have connected with us and copy it's ID to be inserted into the URL above. If you are using one of our mail integrations then we will send you a reminder to accept Facebook's Custom Audience Terms every 90 days.